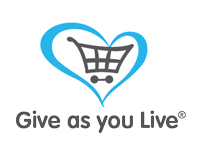 1st May – Volunteer Training Day – Refresh and update procedures and skills after the winter break. For volunteers only. 8th May – First Driving Day of the season. For the second year running, Cherry Park DG has had a driver qualify for the RDA National Championships in the Novice Class and this year we were lucky enough to attend. The “Nationals” are held at Hartpury in Gloucestershire, a huge sprawling college teaching diplomas in agriculture, animal, equine and sport, amongst others, and with every possible facility to accommodate students in their education. The equine facilities are outstanding with numerous blocks of stabling, rubber matting pathways, and showers for the horses. The main outdoor arena is vast and very easy for viewing. There are numerous indoor schools too where ridden classes could take place. Accompanying Sandra, our qualifying driver, on this adventure were Jim, our pony, attended by Lesley who cares for him and Gemma, our RDA Coach, together with four volunteers, Hilary, Valerie, Sally and Sybella. We arrived at Hartpury on Thursday evening in very warm conditions. While Lesley and Gemma enjoyed the salubrious facilities of Lesley’s horsebox, Jim was housed in some splendid stabling and the rest of us spent the night in the student accommodation which was in fact very comfortable. The first day of the National Championship, Friday 13th July, was for Carriage-driving classes so after a very generous breakfast, we set to, cleaning the carriage and preparing Jim for his big day. 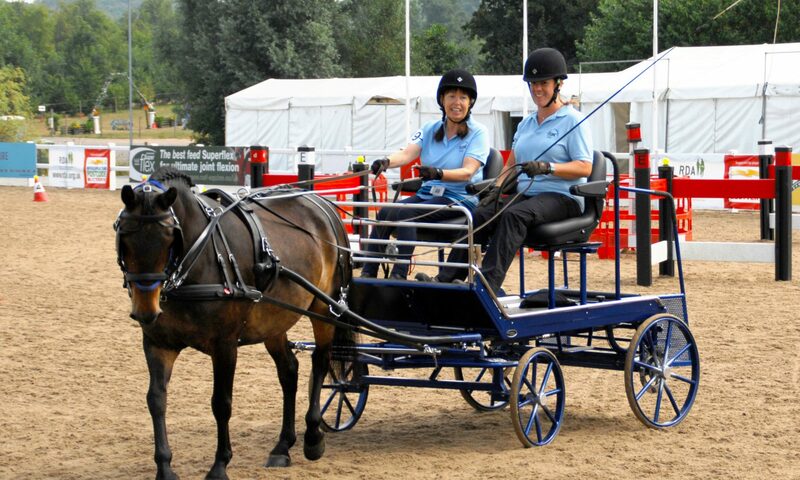 Sandra and Gemma took their seats in the carriage and off they went to take on the cream of RDA Carriage-driving. An excellent dressage test put Sandra in the lead and when it came to the cones and obstacles she was really only beaten on time, finishing as runner-up to the Champion with only one point in it. This was an excellent result for someone who has only been driving for two years. We are also very proud of Gemma, our RDA Coach, who was given the accolade of best coach of the day. It was a great experience to take part in these Championships and we thoroughly enjoyed every minute. Grateful thanks to all who took part and made it a memorable day for Sandra.